See what people say about our tools and services. "... the perfect complement to Foxit PDF Reader." "... I can see myself returning to it time and again. It is seriously powerful with a vast array of options." "... it’s obvious this is a tool done right." "... an excellent tool called pdftk." "Pdftk (the pdf toolkit) is great!" "PDFTK (PDF Toolkit) es una aplicación muy simple que permite manipular archivos con extensión pdf." 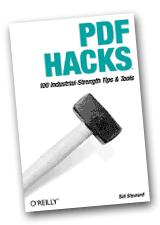 "pdftk is one of the most useful tools for manipulating PDF file that I’ve found for Linux." "With just a little bit of command line finesse, you’ll be able to merge, split, collate, rotate, encrypt / decrypt, and watermark PDF files, among many other tasks."